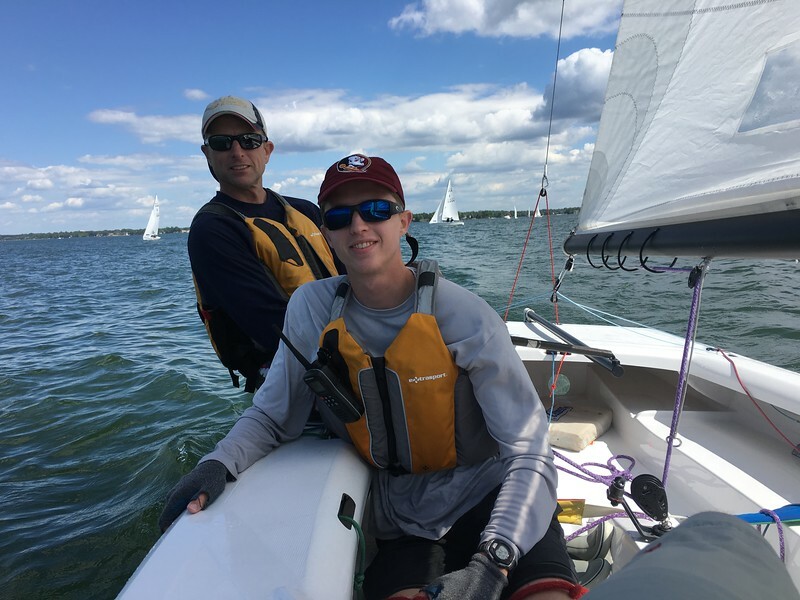 A fun sailing opportunity came together for me this weekend while I was going to be in town for Tom & Jamie’s wedding – I was able to sail at Lake Norman Yacht Club at their Spring Lightning Regatta. Bill Wiggins set me up with Steve and Jeff Hayden who were coming up from Florida and needed a 3rd. 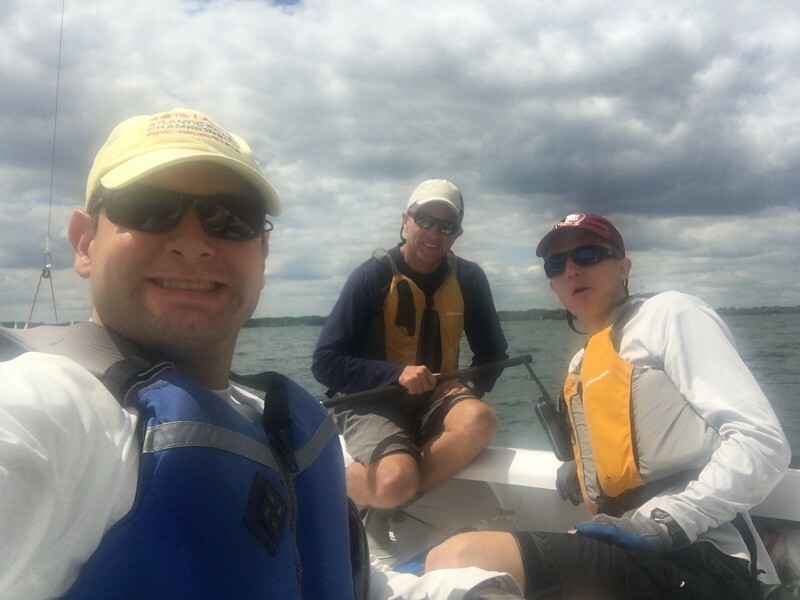 I haven’t sailed a Lightning since sometime in the early 1990’s when I would ride my bike down to Chautauqua Lake Yacht Club and jump on a boat for their Wednesday night series. Steve and Jeff are great sailors and it was easy to fit right in with them on the boat. I did the bow and while I probably wasn’t the quickest nor the most graceful gybing the pole – I don’t think I slowed us down any. In the first race of the day we had a great start right at the line at the gun. From there we just picked some shifts and found ourselves at the top mark in first- from there we extended around the course. In the second race we had a reasonable start – but other boats hugged the left even more and we found ourselves around 6-8 at the top mark. The wind was coming up a little more from the 6-8 in the first race to where we were definitely sitting out to balance the boat. On the second upwind we picked some good shifts and made it to 3rd through to the finish. The 3rd race wasn’t as good to us on the start. We were near the back of the pack at the top mark, but worked on picking off boats on every leg with good boat speed and managed 6th. For the 4th and final race of the day – we again had a good start. Got to the top mark in the top 3, held our position downwind and pulled ahead on the next upwind winning the race and putting us solidly in front of the 19-boat fleet on the first day.